Repository is available on https://github.com/retostauffer/python-colorspace.. 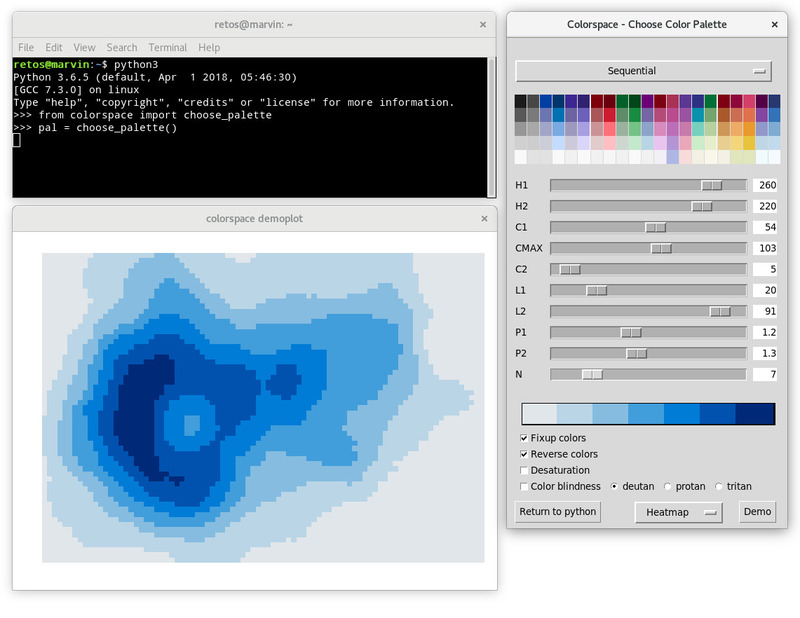 The python colorspace is the python implementation of the R colorspace package and provides the same features and methods to create custom and effective color maps for scientific color maps. This package is based on the R colorspace package and will, at some point, provide all the features the R version already does. For more information about the R colorspace package check out this page. The website HCLwizard.org provides detailed information about the HCL color space and the R colorspace package. Some more information about the python colorspace package will be added soon. ... goes to ninjason on Unsplash.